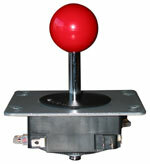 When I got my Japanese sit down cab, I decided to replace the joysticks. I wanted something like the originals but there was not much to choose from here in the states. 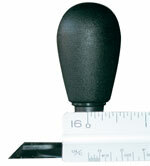 Then Ultimarc started selling the J-Stick which is made by Sanwa in Japan. 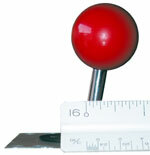 Here is the J-Stick next to a Happ Super. The Happ is slightly taller. The main difference in the sticks other than the handle shape is the Sanwa uses a 4/8 way restrictor plate that can be rotated at any time. 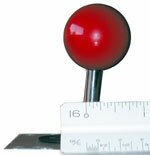 The Happ uses Cherry switches, the Sanwa uses Omron. 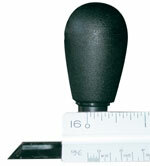 The restrictor plate in the 4 way position keeps the joystick from tripping more than one microswitch at a time. 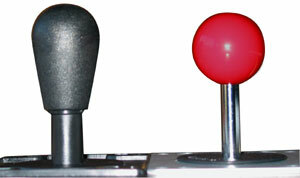 The restrictor plate in the 8 way position allows the joystick to hit two microswitches at a time for diagonal moves. Conclusion - The switch trigger points on the Sanwa are a longer throw than the Happ. This is the opposite of what I expected. 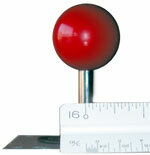 Part of this may be that the Sanwa sticks are taller than older Japanese sticks that I have seen. See below. Also, the Sanwa "feels" like a tighter stick. Note: I had the Happ joysticks set up as 8 way, which has a larger actuator. If you have them set up as 4 way, your results will most likely vary. The stick on the left is an older Sanwa. The one in the middle does not have a name on it, The new Sanwa is on the right. 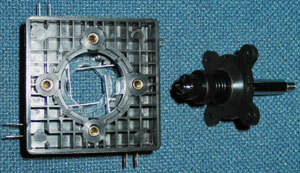 Slight differences on the mounting plate sizes - the new Sanwa is in the middle. The old and new Sanwa use the same restrictor plates. All in all, I am very impressed with the Sanwa. I think it is a better made stick than the Happs, and I really like the restrictor plate - especially for a Jamma cab where you might have both 4 and 8 way games. I also want to mention that Andy over at Ultimarc does a great job and the customer service is top notch. Don't hesitate to deal with Ultimarc. 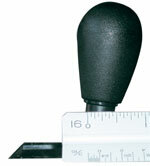 Here is the Sanwa plate on top of the Happ stick base. No problems, the holes line up fine. I can tell you that this plate is larger than the old Sanwa plates. The angled slots seem to be used for Japanese cabs, and the round holes are for US cabs. The round holes are not present in the older Sanwa sticks. That may account for some people saying that they have had a hard time fitting these new sticks in Japanese cabs.